A pallet is a bunch of boards strapped together and commonly used for shipping. Lucky for us that their uses go far way beyond shipping and freight.They are such great and inexpensive materials and are versatile for so many home and garden uses. 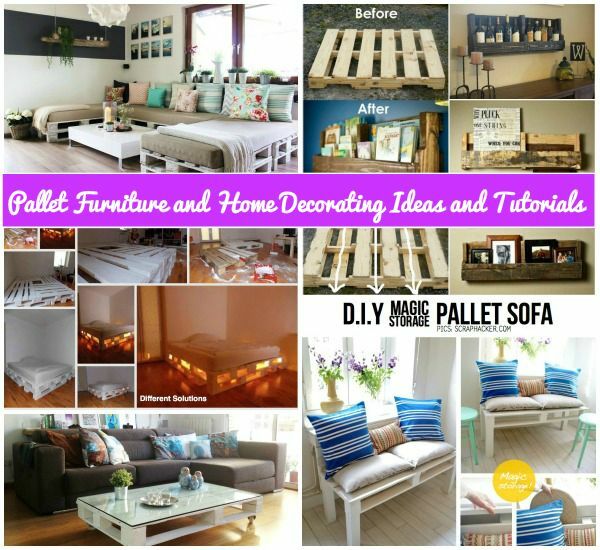 Here we are excited to show off this great collection of DIY pallet projects with tutorials for pallet home ideas.